Richard "Stik" West of EM's Waste Isolation Pilot Plant (WIPP) was inducted into the Metal and Nonmetal National Mine Rescue Hall of Fame at last week's National Mine Rescue Competition in Lexington, Kentucky, sponsored by the U.S. Department of Labor's Mine Safety and Health Administration. The Hall of Fame honors individuals who through their accomplishments and commitment stand out as exceptional in the field of mine rescue. 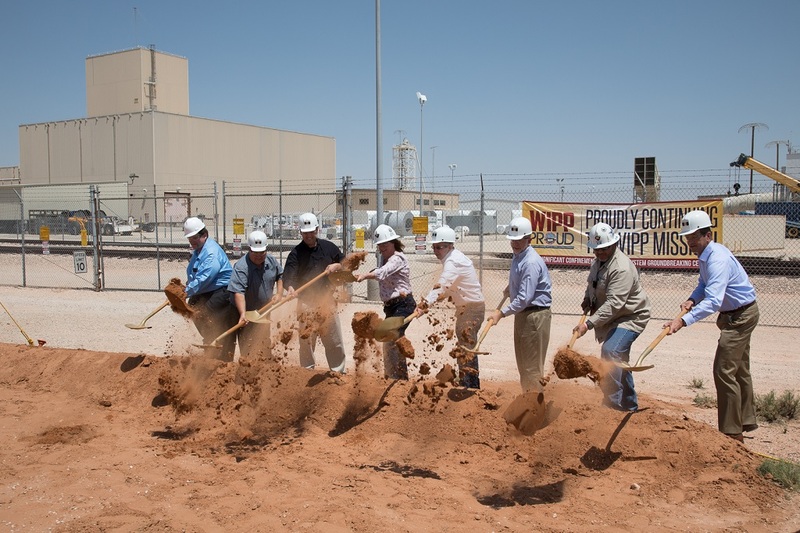 "I am extremely proud of Stik and his many accomplishments," said Bruce Covert, President and Project Manager of Nuclear Waste Partnership, which manages and operates WIPP. "He is very deserving of this recognition. I also want to congratulate members of all our mine rescue teams. They represent the company, DOE and the project extremely well. I cannot think of a more qualified group of employees who are prepared to answer the call in the event of a mine emergency." West, who started his mining career in 1979, has served as the team trainer at WIPP for 14 years, with his teams winning national titles in 1994, 2014 and 2016. He tied for this year�s national trainer of the year honor, finishing second in a tiebreaker, and has won 10 team trainer awards during his career. 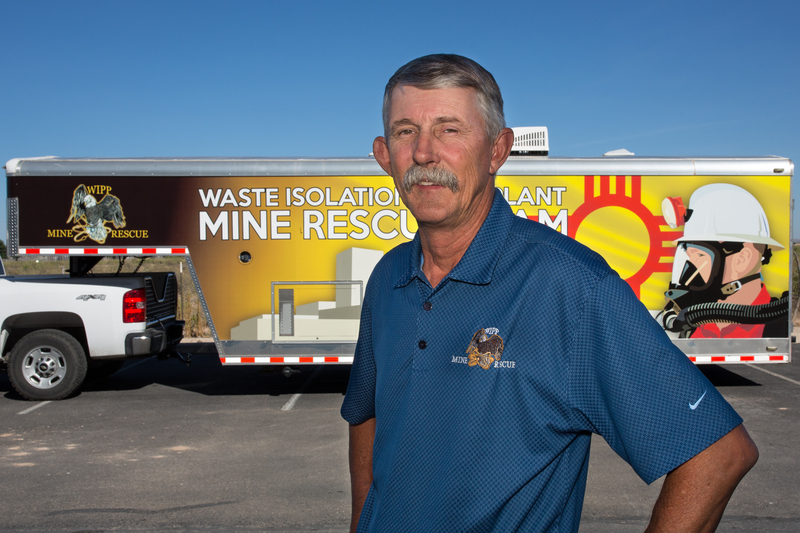 He serves on the National Mine Rescue Rules Committee and is the former president and current director on the Southwest Regional Association. He won a national title in the bench competition in 2000. Mine rescue competitions are designed to sharpen skills and test the knowledge of team members who are called upon to respond in a mine emergency. Two WIPP teams, Red and Blue, competed at the four-day, 42-team event. WIPP Blue finished fifth in the Mine Rescue Field Competition, with the Red and Blue teams finishing second and fifth, respectively, in the first aid competition. The field competition requires team members to solve two separate hypothetical problems on consecutive days while being timed and observed by judges. The WIPP Red team placed sixth in the Technician Team Award, a two-person bench competition where teammates have 30 minutes to inspect a Drager BG-4 rebreather unit and an MX-6 multigas detector and find any "bugs" that have been planted on them. WIPP Blue members include captain Nico Dominguez, Misty Long, Colton Ridgway, Manny Marquez, Lyndon Dufty, Chris Dominguez and Gary Kessler. Red team members are captain Matt Ridgway, Mark Long Jr., Ty Zimmerly, Matt Carnathan, Jim Pearce, Lance Turnbow, Tony Mihelic, Justin Bailey and Hank Miller.